Happy Tuesday great food lovers! 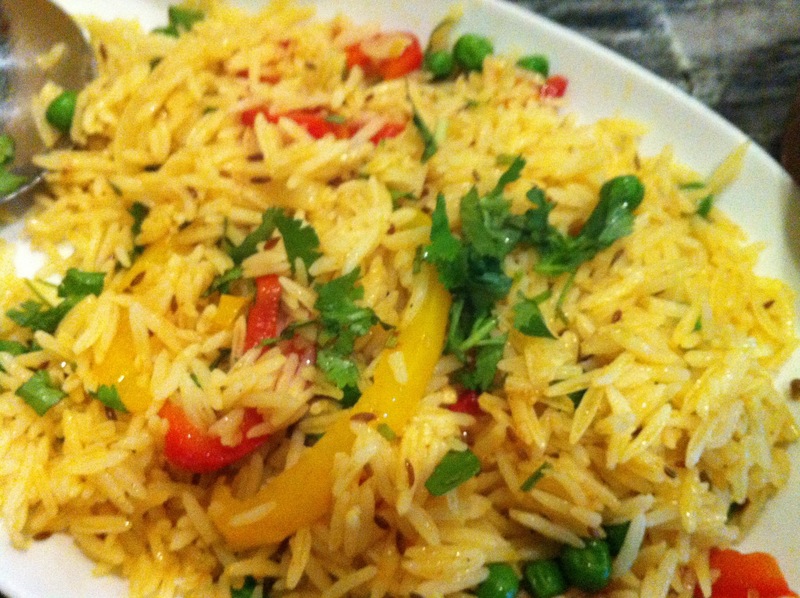 Every so often change up your flavors and try something a little different…. Butter Chicken and paolo rice>;; with Garlic naan bread. The butter chicken was packed with mouthwatering flavor and perfectly paired with the Paolo rice. Butter chicken (or murgh makhani) is part of Indian cuisine and Pakistani cuisine, popular in countries all over the world. 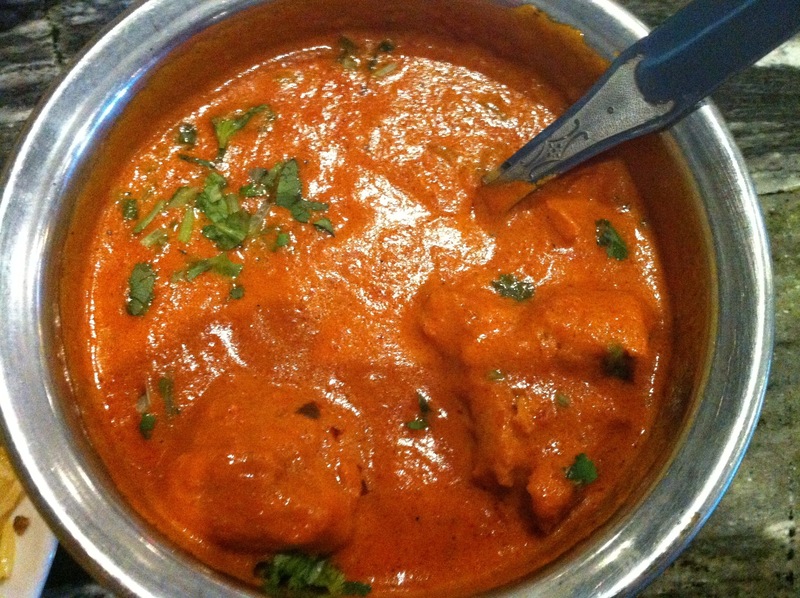 The origins of butter chicken can be traced back to a Punjab region. Butter chicken is regarded to have been first introduced by Simon Mahli Chahal in Mareelun, Delhi. 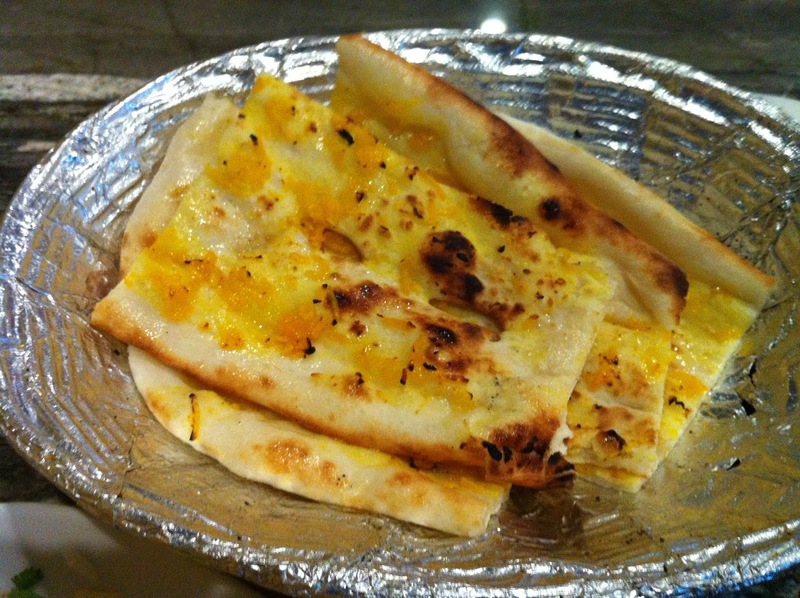 Butter chicken is usually served with naan, roti, parathas, roomali roti or steamed rice. It should not be confused with chicken tikka masala, a similarly coloured Indian chicken dish that originated among the South Asian diaspora in the United Kingdom. And you will be craving these flavors for time to come. Dip your garlic naan in the butter chicken and complex heartwarming flavors pop in your both an make your taste buds scream for more! Where do you find these delectable flavors? Well that’s easy really, check @urbanspoon for great restaurants in your area. Look up some great recipes up on @foodnetwork or @foodnetworkca or look for Chef Vikram Vij’s pre-packaged products on their food truck or at great quality grocery stores around Vancouver lower mainland. Posted on July 17, 2012, in Great flavors and tagged Flavor wow!. Bookmark the permalink. Leave a comment.